Westcon GoldSeal is a Polycom-approved technical support offering that delivers unmatched service for resellers and their clients. GoldSeal gives Polycom partners access to a world-class team of technical experts that are a direct extension of your business. We’re your partner in keeping your clients’ technology current and in ideal operating condition, resulting in a positive ownership experience for years to come! 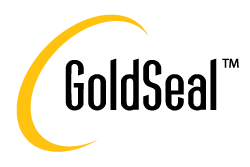 Goldseal is a direct alternative to Polycom maintenance but with greater margins for partners. To order GoldSeal maintenance simply apply your standard Polycom discounts to the price lists at the foot of this page and submit your orders as normal. A valid GoldSeal contract will be required to access Westcon Polycom support. Helpdesk Technical Support: Your calls are answered by a Westcon Polycom-certified engineer between the hours of 9:00 am and 5:30 pm. We also provide a 24-hour video test facility. Optional On-site Support: If the Westcon GoldSeal helpdesk engineer cannot resolve the issue then a field support engineer can attend site to provide further diagnosis. On-site support is available between normal working hours of 9:00am and 5:30pm. Please note that there will be an additional cost for on-site support. Free Polycom Software Updates & Upgrades: Your clients can keep their covered system(s) up to date with Polycom’s latest software updates and upgrades. Software updates correct software errors and provides major feature and functionality upgrades. Without GoldSeal Maintenance, your client could incur significant additional costs per software upgrade. Why Polycom GoldSeal from Westcon? Provides single contact number for all technical support needs. Our Polycom-certified technical support engineers have the expertise to resolve most of your clients’ issues, but we also have direct access to Polycom should we need to escalate an issue. Eliminates maintenance renewal tracking (we automatically notify you when your clients’ Polycom solutions are up for renewal). We offer multi-year service plans for added savings, convenience, and long-term peace of mind. Protects your clients’ investment in Polycom solutions by avoiding downtime, maximising productivity, and reducing the total cost of ownership.